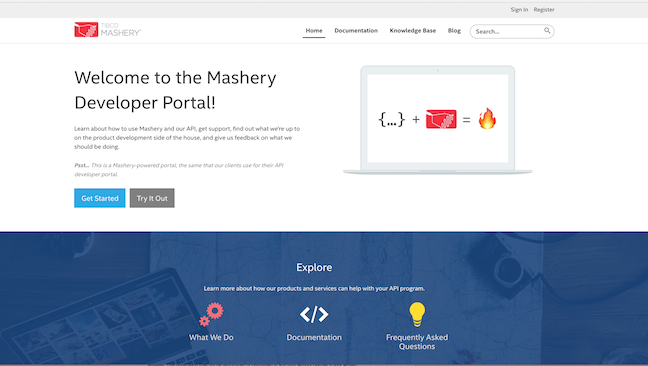 TIBCO Mashery is happy to announce an update to its developer portal. We've been hard at work helping our customers that we've ignored our own portal! No more! Beyond its new look-and-feel (hello!) we're also happy to be beta testers for a new portal application framework that we're cooking up here in Mashery R&D. Announcements for that will be coming in the weeks to follow. Feedback is welcome. Tell us how we can be a better developer program for you. TIBCO Mashery is ever evolving, and we have complemented the way in which Mashery will help you in setting up your swagger defined API's. In our latest release, we extended the wizard that allowed you to upload a Swagger specification, by ensuring that your interactive test documentation is setup in accordance with the uploaded swagger spec and the wizard will now also allow you to create a package and plan that you can directly use to have developers access your newly uploaded API. After succesfully creating your API, the screen is now updated as per the figure below, the interactive test documentation (IODoc) is automatically created and the schemas and samples from the swagger spec are used to reflect the same information on the developer portal! Furthermore, to ensure you can right away use this API and hand it over to your developers, the button at the bottom right will help you out. It will allow you to setup a new package and plan (or use an existing one) to allow developers to request keys to access this newly imported API and start using it! As you might know, Mashery handles a lot of API calls from many different customers, customers managage tens of thousands APIs with Mashery and developers use thousands of packages to safely access those APIs. Most of our customers own hundreds of APIs with thousands of endpoints, combine that with the hundreds of packages and plans that go with this, sometimes it is a struggle to quickly find that one API you want to manage. To ensure our customers can find that needle in their haystack, TIBCO Mashery is proud to present new functionality that will help all of our customers to quickly find the APIs and packages they need by simply searching for them! As we all know, TIBCO Mashery’s first class API management allows for many different setups that are of the utmost importance to you as our customer. Unwanted changes to any API pose a business risk, hence most customers do not give administrative access to a big group of people. To ensure that your support team can investigate potential API issues using the control center without being dependent on those few administrators, TIBCO Mashery is proud to announce the support role within Mashery’s control center. This role allows your support team to see your Mashery managed APIs configuration without allowing them to make changes. In this way support can help troubleshoot and figure out what happened to your API calls, without the risk of them making unwanted changes! 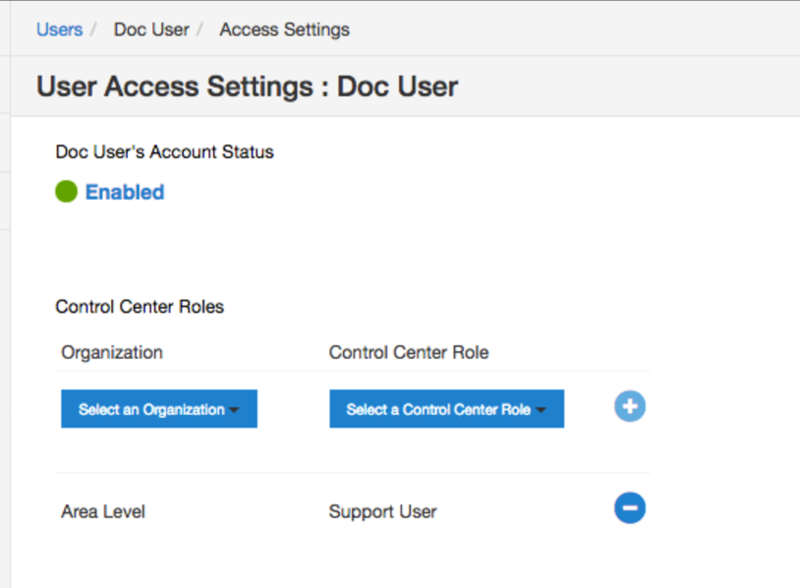 Please use TIBCO Mashery’s organization capabilities to assign the support role to your team members. 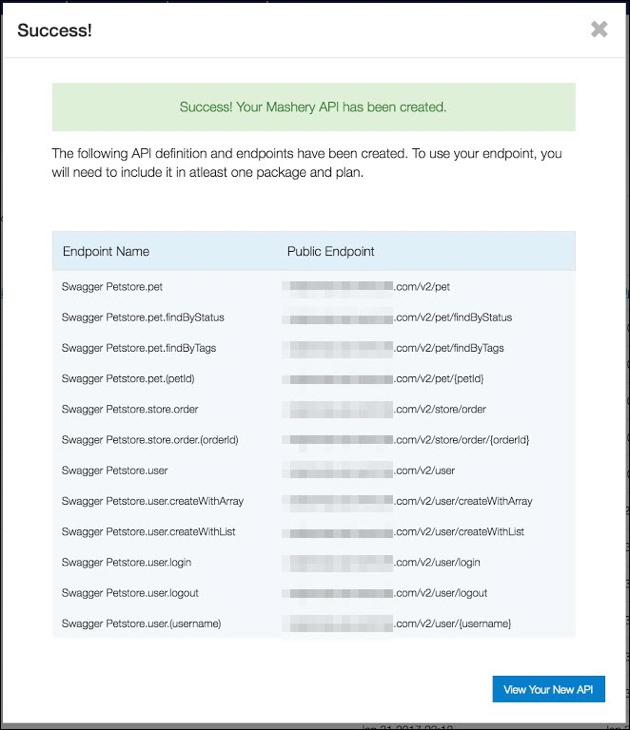 TIBCO Mashery is ever evolving, and for the first time, Mashery will help you in setting up your swagger defined API's more easily. In our latest release, all our customers are now able to import Swagger 2.0 specifications, which will automatically be mapped to a Mashery endpoint definition. Most of you have heard about the Open API Initiative, which is an industry-wide effort to standardize how APIs work and look like. It is focused on creating, evolving and promoting a vendor-neutral API description format, which is gaining high adoption in the industry. 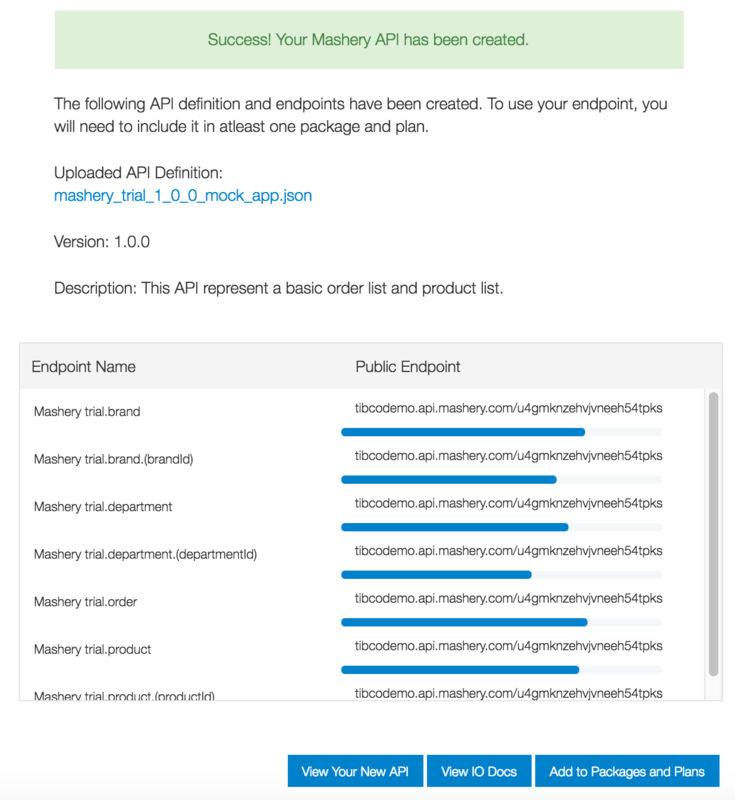 Since Mashery wants its customers to grow along with new industry initiatives, it is following suit and adopting the format of the Open API initiative and allowing our customers to re-use their Swagger 2.0 specifications when managing APIs in Mashery. With the release of this feature, once you go into your control center and click on "Design -> APIs", there is a minor change when creating a new, Mashery-managed API. 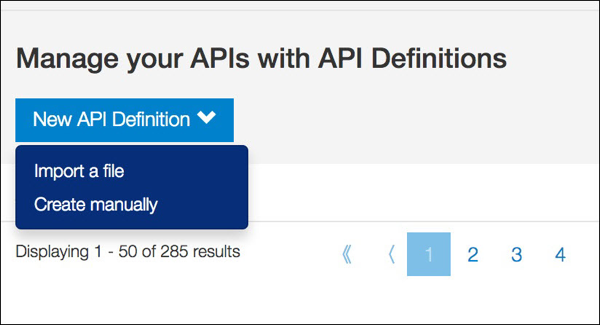 As is seen in the image below, there is an option to create a new API definition by importing a file. If selected, a wizard will guide you through the steps needed to convert your Swagger 2.0 specification into a Mashery managed endpoint! Upon completion of the wizard, all functionality available to our customers can be used to further manage the API. 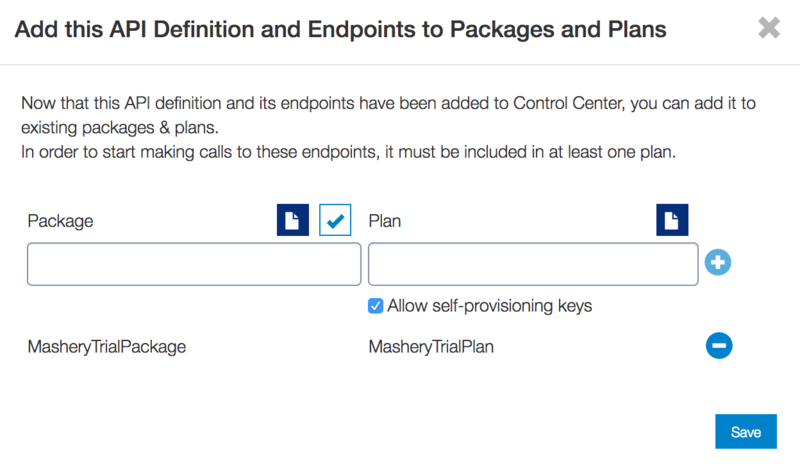 This functionality is not only available via the control center UI, but is can also be used via the Mashery V3 API, to ensure you can automate the import of the many swagger specification that you might currently have and it will abbreviate the need to setup each and every API in Mashery manually! Please refer to the documentation in case you are running into any issues. For the first time customers can now receive low-level API transaction details via automated, ongoing exports. Until now, reporting data provided via our Reporting Dashboard and API has provided aggregated data sets, but with our new Call Log Export feature, that is no longer the case! Log files will be delivered in 30 minute slices as CSV files and will include such data as: Request UUID, Source IP, Host name, User Agent, URI, HTTP Method, HTTP Status Code, API Key, and many more! We have also joined the transaction data with other TIBCO Mashery Metadata, such as Package, Plan, and Service information to reduce complexity of creating helpful and actionable visualizations and insights without the overhead of having to join data tables together. 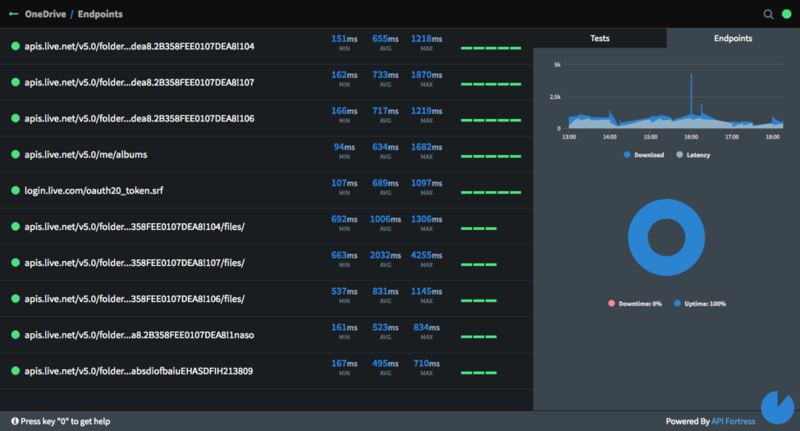 These detailed transaction logs should unlock a variety of use cases for our customers, allowing you to store Mashery call data along with your own transaction logs to get a full view of your API traffic. Troubleshooting, threat detection, customized billing are all use cases that we have heard from our customers that will now be possible with this new feature. Keep an eye on this blog as we are planning incremental improvements to this feature in the coming months. Watch a quick demo of Call Log Exports working in conjunction with Redshift & TIBCO's industry leading analytics platform Spotfire. Please see the feature documentation which also includes an FAQ. * Please note: New Call Export profiles may take up to 3 hours for initial delivery, we are working to bring this latency down in the near term. Continuing the theme in the second half of 2016, here at TIBCO Mashery we have been hard at work at improving the experience of the API Control Center, the web administration application that our customers use to manage their API programs. 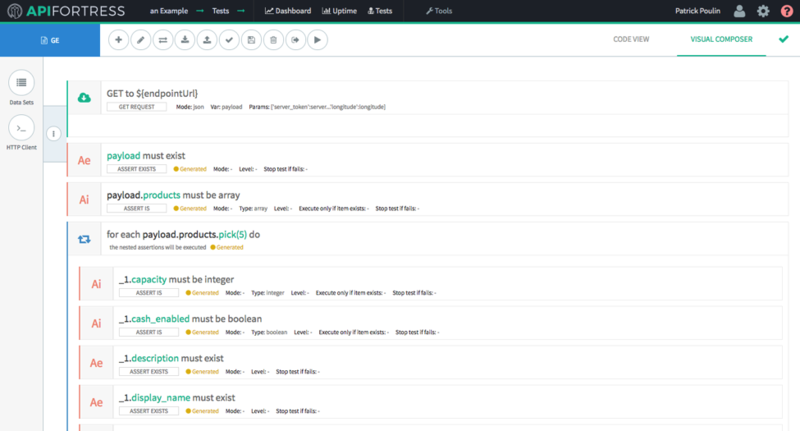 In order to help newer users understand more and more of what is available in the product, we have changed the initial page shown when entering the API Control Center, replacing the quick links to "create" processes with quick links to the high level functional areas of the product, including descriptions of what those functional areas can do for a user. Additionally, we have added some additional links on the right-hand side of the page to assist in getting more information about the product, whether to access support quickly or learn more through training videos. Sample screen-shot is shown below. Mashery Local 4.0 is Generally Available! 1) Mashery Local is now also available for deployment in Docker-based environments ( in addition to the virtual appliance form-factor). This allows administrators to easily deploy Mashery Local in either internal data-centers or external cloud platforms that support Docker based deployment choices.